The business experts at Carte Hall Certified Public Accountants provide useful analysis to assist our clients in the valuation of any business in the Clarksburg area of West Virginia. Whether you own (or are interested in pursuing ownership of) a family restaurant, hotel, municipal contracting company, or any other type of business, let our professional provide the objective answers that your business valuation requires. We serve clients throughout all of Harrison County. You must protect your personal and business assets from unpredictable events that are capable of leaving your finances devastated. Fortunately, the seasoned asset protection experts at Carte Hall Certified Public Accountants provide solid protection services to help safeguard your assets against health problems, injuries, divorce, litigation, and other unforeseen occurrences in the Bridgeport, WV region. When creditors come to collect on claims against you, we will work to ensure that their access to certain valuable assets is prohibited. Please note that your asset protection plan must be in place long before any event that may lead to the occurrence of a claim being filed against you. If you have any valuable assets, contact our accounting firm immediately. Are you Planning Your Retirement in Shinnston, West Virginia? Regardless of your age, it is wise to start planning for your retirement and continue to monitor your investments and retirement plan on a regular basis. If you are of advanced age and have not yet officially planned for your retirement, we can assist you. Although your financial outlook will be brighter the earlier you begin to plan for retirement, it is never too late to examine your situation and review your options. If you are just starting out on your own in life, now is the perfect time to start thinking about your future. Let the retirement planning experts at Carte Hall Certified Public Accountants work for you no matter what stage of life you are currently in. 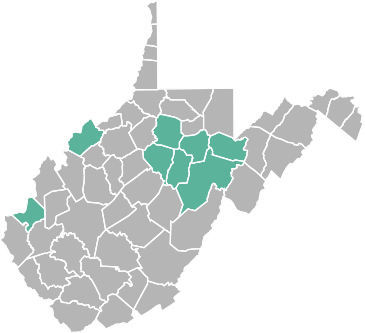 We have assisted thousands of our valued clients with living a more comfortable lifestyle in Shinnston, West Virginia, and throughout our service area. Your employees and small business in Harrison County, WV, can benefit from our professional QuickBooks training. If you have not yet experienced the extensive range of valuable features that QuickBooks offers for your business, let us help. The certified public accountants at Carte Hall have in-depth knowledge of many types of accounting programs and offer simple and effective training to not only help your business choose the optimal version of, and set up, QuickBooks, but also use it in the way that will best meet your needs. We can provide complete customization of QuickBooks for your business, as well. From managing daily transactions and payroll, accessing marketing tools, and keeping track of your finances to creating attractive, customized invoices and reports, let us show you all of the special QuickBooks features that can benefit your business. Call Carte Hall today to learn more about how we can meet your QuickBooks needs: (304) 637-2369.